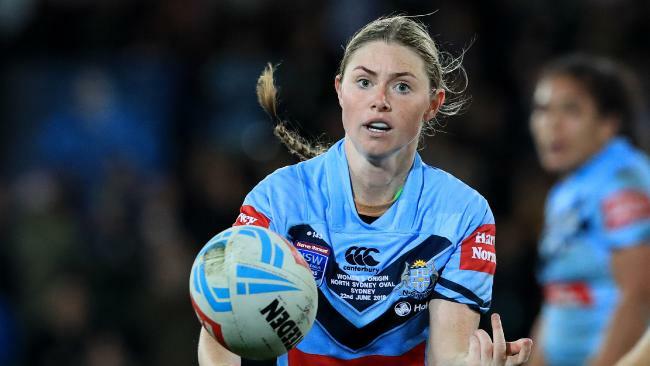 MADDIE Studdon has led NSW to a defiant win in the inaugural Women's State of Origin and become the poster girl for female athletes in Australia. 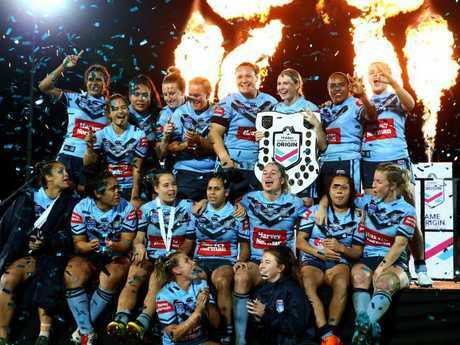 In the aftermath of the Blues' 16-10 win over Queensland on Friday night, the NSW captain revealed she had lost her job during the week because her rugby league commitments interfered with her work. Like many female rugby league players, Studdon is semi-professional and forced to juggle work, training and playing. She was given an ultimatum by her bosses at the Port Bottany wharves, where she worked as a truck driver - give up footy or her job. She was told she was taking too much time off work and they couldn't keep her on if she was to continually be away as part of her positions as NSW skipper and Australian Jillaroos representative. And in the end, her love of the Blues jersey won out. "It's so hard that Maddie lost her job over this week," NSW coach Ben Cross said. "That's how hard it is. 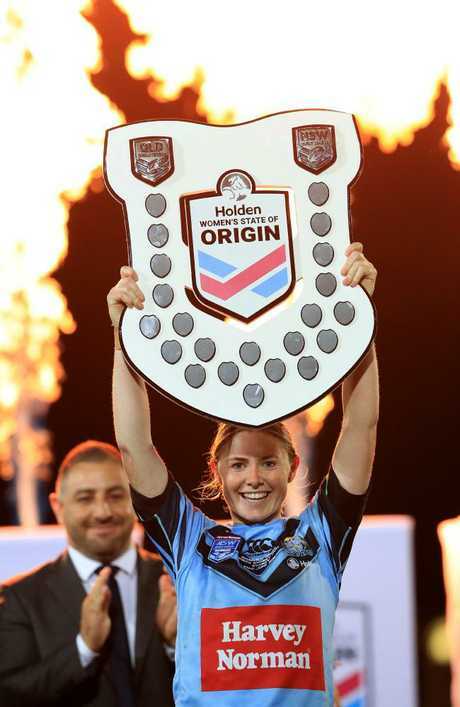 To be a NSW rugby league Origin captain, she couldn't get the time off work. "That's the sacrifice that these women and players are making to wear the Origin jerseys, they're losing jobs over it." She said she had no hesitation despite being forced to join the unemployment queue on Monday. "It was quite easy, I was always going to pick rugby league and that Blues jersey," Studdon said. "This is my job and if that's how it's going to be, that's the way and I'm so proud. I'm happy how it came out too." Asked what she'll do on Monday, she said: "I'll probably study the game more, watch the replays." Studdon is contracted to South Sydney for the inaugural NRL women's championship, to be played later this year. Women's footy has made major gains in the last year - with a 33 per cent growth in female participation in 2017, the success of the Women's World Cup, Friday's Origin attracting 6824 fans to North Sydney Oval as well as being watched on prime time free-to-air television. However many female athletes still struggle to scrape together a living. "The ladies before us paved the way," Studdon said. "They had to sell their cars, get loans. "We think about rugby league first and it comes from our heart. "We're playing for this jersey and it just shows we're committed to this and whatever is thrown at us, we're ready to take it. 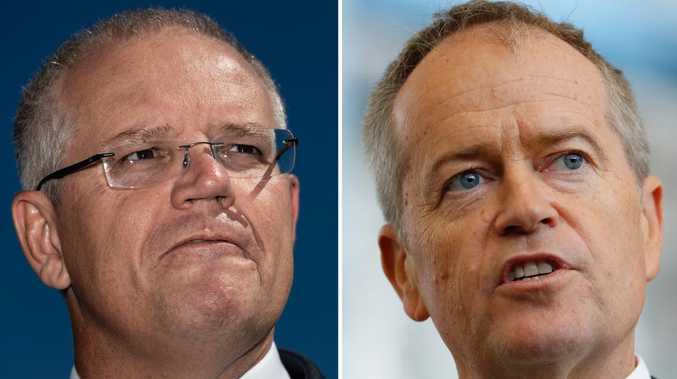 "And if it's to lose a job, it's to lose a job."